By now, we all know that megapixels alone don’t make a good camera. 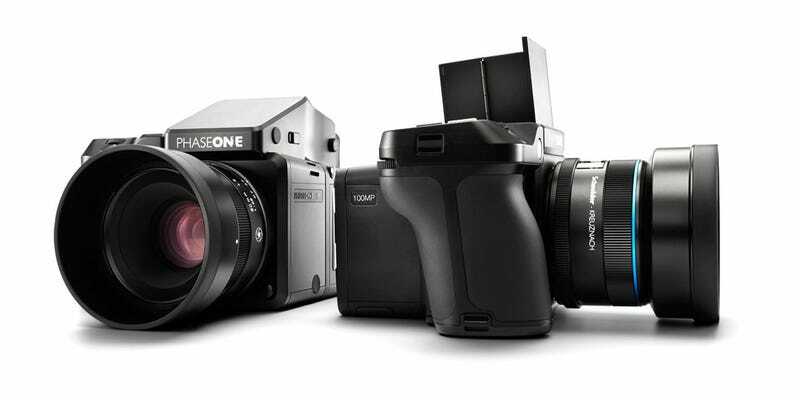 But that doesn’t make the new Phase One XF 100MP any less impressive, with an image sensor that captures 100 of the things while also promising to provide more analog-like images. The medium-format camera’s CMOS sensor was co-developed with Sony to capture what lies before it in incredible detail. It creates images with a 16-bit color spectrum, unlike many cameras which are 14-bit, which Phase One claims will provide images with “a natural texture and tonal feel.” It also boasts 15 stops of dynamic range, which should make it rather capable when it comes to picking out detail in light and dark sections of a scene. Elsewhere, Phase One reckons the camera produces “clean” shots from ISO 50 all the way to ISO 12,800, though what constitutes clean may depend on exactly what you throw its way. And that might be rather a lot, given that it’s also capable of 60-minutes exposures, among other things. The camera is available right now, though you may want to sit down before you read the price tag. At $49,000, the XF 100MP is a camera targeted at the professionals amongst us.